The built-in DIP switch provides extended operation modes on switch 1, 2, 5, 6 & 7. The GS-1008P V2 operates as a “standard" IEEE 802.at/af PoE Switch when DIP switches are off. With switches on, the GS-1008P V2 operates on a per-port basis at 10Mbps duplex operation but can support 30-watt PoE power output over a distance of up to 200 meters, overcoming the 100m limit on Ethernet UTP cables. 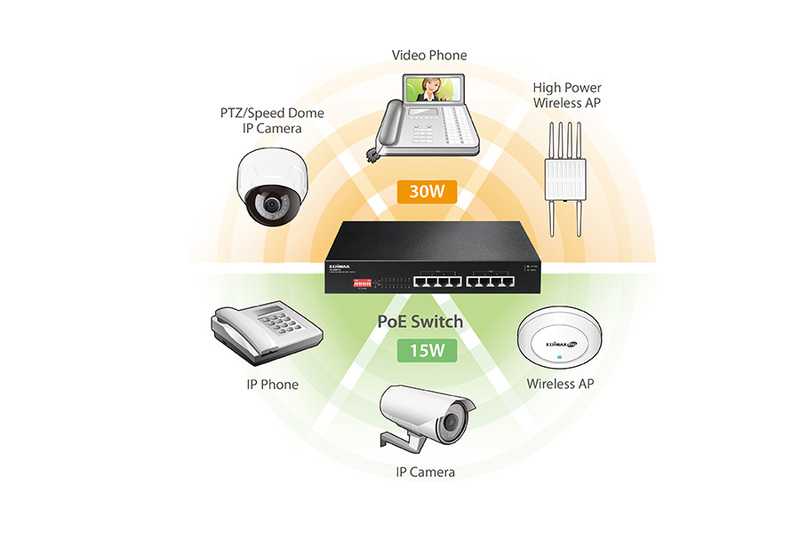 With this brand-new feature, the GS-1008P V2 provides an additional solution for 802.3at/af PoE distance extension and saves costs of Ethernet cable installation. 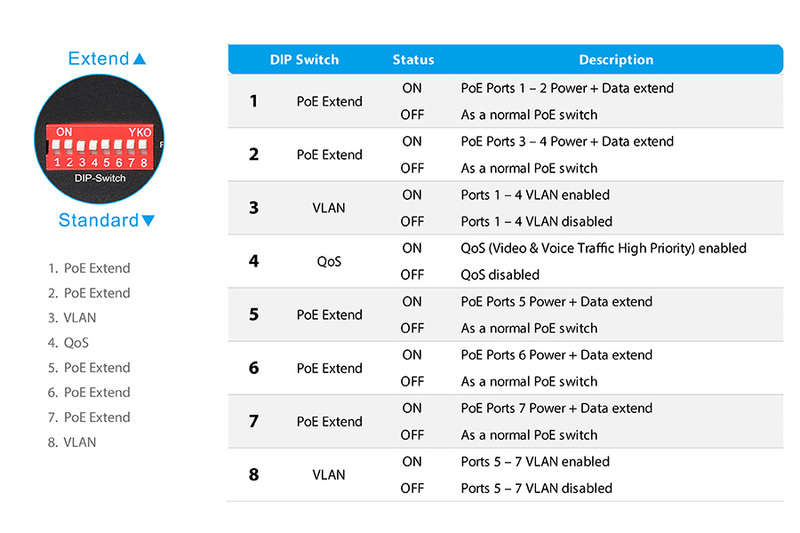 The GS-1008P V2 features port-based VLAN where ports can be isolated from each other via DIP switch port 3 & 8. This can help to prevent IP camera's multicast or broadcast storms from affecting each other.